Madrid, March 19 (IANS) Lionel Messi was the protagonist here as the Argentine national football team began preparations for a friendly against Venezuela later this week here. The FC Barcelona star led the team on a warm-up run at a Real Madrid training facility in Valdebebas here on Monday. 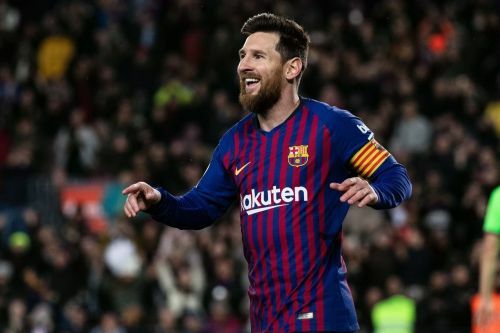 Messi, 31, has been in superb form in the 2018-2019 season and coach Lionel Scaloni was enthusiastic about the striker's decision to return to the national side when he announced the roster earlier this month. "On the FIFA date, lots (of players) would rather rest, and he prefers to come over," Scaloni said in Buenos Aires. In recent months, both the Argentine federation and Scaloni had expressed hope that Messi, winner of a record-tying five Ballon d'Or awards and Argentina's most-capped active international player, would rejoin the national team. The coach did not ask a lot of his charges in Monday's first practice, well aware that several of the players were in action with their respective clubs over the weekend. Scaloni called up 31 players for the upcoming friendlies against Venezuela - on Friday at Madrid's Wanda Metropolitano stadium - and Morocco, set for March 26 in Tangier. The squad is awaiting the arrival of five players: goalkeeper Esteban Andrada, midfielder Ivan Marcone and forward Dario Benedetto, all of Boca Juniors; Gremio defender Walter Kannemann; and Atlanta United forward Gonzalo "Pity" Martinez.